Ashley Thurman of Cherished Bliss transforms her kitchen with a new GE stainless steel appliance suite! With the help of The Home Depot, Ashley was able to transform her kitchen into a culinary dream. The kitchen is often referred to as the heart of the home. It’s where you start your day with either a cup of coffee or a wholesome meal. Maybe it’s where everyone gathers before they run out to door to start their day, but everyone uses the kitchen. It’s what keeps the family going. When designing a kitchen there are many things to consider before finalizing your decisions! Let’s talk about one of the biggest hurdles to get past in a new kitchen – the appliances. I poured through The Home Depot’s Website for hours reading reviews and looking at different styles, colors, and trying to find the perfect combination of reliability, function, and appearance. I landed on the GE Cafe Series with a ZLINE Vent Hood. Let’s dive into why I chose these specific appliances, and how to choose what works for your family! I like to begin big searches like this by looking for the style that matches my design. I open multiple tabs on my computer (or you can use the compare option on The Home Depot’s Website) and choose all the different styles I’m drawn too. My overall design is a Rustic Industrial Style and I knew I wanted my appliances to lean towards industrial. I absolutely fell in love with the GE Cafe Series and their robust handles that offer a professional style. If you aren’t looking for an industrial style then you might look for appliances with softer edges and a more traditional look. If you’re trying to find a style to fit your kitchen I always look at the handles, knobs, and edges. Since appliances are just appliances, you have to really look at the small details to find a style that fits you and your kitchen! Once you have narrowed it down to a few appliance series you can start to dig into their spec sheets. 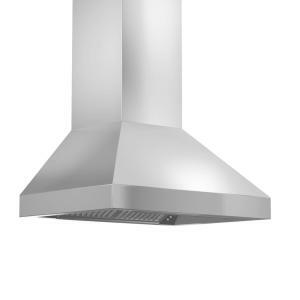 My list of wants included a slide in range, a counter depth french door fridge, a quiet dishwasher, and a powerful vent hood. These were a must for me. There were lots of little things that I preferred, but weren’t deal breakers. I used these parameters to narrow down my favorite series. From there I started considering all the details for each appliances. Begin looking at the appliance that is most important to you. For me it’s the refrigerator. I wanted french doors with a bottom freezer. I’ve had many fridges over the years and this is my favorite set up. I also wanted an ice and water dispenser that’s easy for my kids to use. 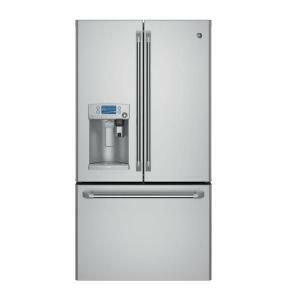 The fact that the GE Cafe Series Refrigerator offers a Keurig and hot water dispenser was a HUGE bonus. My daughter loves to drink hot tea in the afternoon. You can also use an app on your phone to schedule the hot water. This refrigerator offers a precise fill setting that is perfect for anyone who loves to bake or the kids who love to help! If the kitchen is the heart of the home then the range is the heart of the kitchen. This is where all those Pinterest recipes come to life! It’s where you will bake birthday cakes and holiday meals. The GE Cafe Series Range has two options for a gas range, a single oven and a double oven. I’m partial to the double oven because it allows you to bake two different things at once, and easily preheat the smaller oven for faster results. It’s such a great feature for all those family holidays! And just like the refrigerator this stove has wifi capabilities, just ask Alexa to preheat the oven when you’ve run out of hands! The dishwasher is the workhorse of the kitchen. It cleans up all our messes and keeps the kitchen moving. 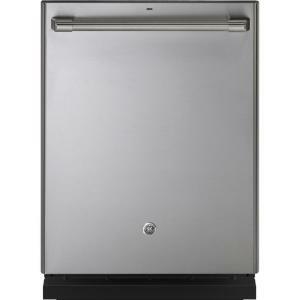 With this GE Cafe Series Dishwasher I don’t have to worry about my silverware coming out completely clean because of it’s silverware specific deep clean jets that remove any stuck on food. In addition to the silverware jets there are bottle jets which are perfect for your re-useable water bottles! And with an adjustable upper rack this dishwasher hit all my points and then some! The vent hood is a place that I feel like if you want to move away from a specific series, that is totally acceptable. For me it was just the aesthetics of the vent hood. This ZLINE vent hood offered the look I wanted with the controls on the inside. I’ve toyed with the idea of building something around the vent hood, but for now I wanted it to be exposed so I wanted to make sure I found a vent hood the left me with options. I knew I wanted my vent hood to vent outside so that was my number one must have in regards to the hood. This 4 speed fan control offers great versatility no matter what meal you’re cooking to help keep your kitchen clean. We actually decided not to put a microwave directly in our kitchen, but rather in our pantry. Since I didn’t want a microwave above our stove and I wasn’t willing to sacrifice countertop space that’s where it ended up. I hope this helps when you’re shopping for your next set of appliances. Just remember, decide on a style that matches your kitchen and make a list of your must haves. Once you’ve narrowed it down, dig through the specs of each appliance until you find exactly what you’re looking for!